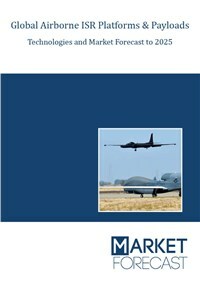 Market Forecast provides a detailed analysis of the Global Airborne ISR Platforms & Payloads Market and Technology Forecast to 2025 in terms of sector (defense, civil and commercial), technology (payloads vs platforms) and geographic coverage (N. America, Europe, Asia, Rest of the world). The global Airborne ISR platforms and payloads market is projected to grow to USD 60.6 billion by 2025, at a CAGR of 6.2% between 2017 and 2025, with new geographic areas and sectors presenting huge opportunities. North America (Installed basis, procurement, O&M). Europe (Installed basis, procurement, O&M). Asia (Installed basis, procurement, O&M). Rest of the world (Installed basis, procurement, O&M).